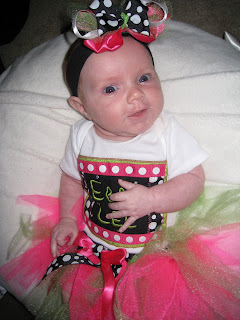 My friend from high school, Carrie, got Ebby Lee this onesie and tutu when she was born. I absolutely loved it. I wanted to get at least one cute picture of her in it. I think I accomplished the mission. Thanks so much, Carrie!